Mayor Rahm Emanuel, State’s Attorney Anita Alvarez, Chicago Police Superintendent Garry McCarthy, the Chicago Metropolitan Battered Women’s Network, and Family Rescue announced the city’s domestic violence pilot program — designed to build a more proactive and coordinated response between police, social services agencies, and prosecutors — has now expanded to the 003 Police District. The expansion also brings key upgrades including a more expansive role for service agencies, improved technology to help determine risk, and new police resources in domestic violence court. Fifty-three percent increase in arrests for domestic violence despite a nine percent decrease in domestic violence incidents compared to the same time in 2013. Nine percent increase in referrals to the Domestic Violence Hotline initiated by CPD. Individuals who contacted the Hotline for assistance reported very positive interactions with the police officers who answered the calls for service. It is essential that every Chicagoan actively seek to end domestic abuse of all types in the city. To report domestic abuse, call 9-1-1. 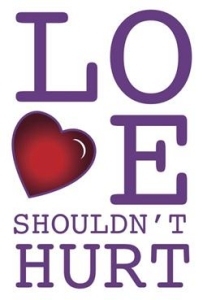 For more information and support, anyone can call the domestic violence help line at 877-863-6338.